From Paul Hyde of Hudson, Florida on 1/22/2019 . 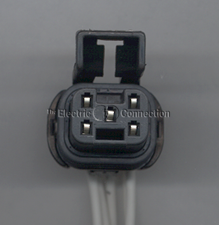 10/23/2012 – as I can get the wiring diagram of the 5-pin cables for silverado REPLACES: 12117277, PT1489, S-753 or the pin diagram 600-101 . . .